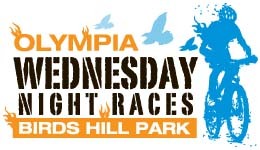 The Olympia Wednesday Night Race Series in Birds Hill Park is back for another great season. This mountain bike race series is held at the Bur Oak trails within Birds Hill Park, just a 10 minute north of Winnipeg. These races are intended to be fun but competitive for racers of all skill levels, for kids, youth and adults. Olympia Cycling Club has been organizing this week night race series for many years and offers incredible value by offering 6 races for only $45. This season the Manitoba Cycling Association is offering a $40 entry level racing license for all new racers who race in the lowest category. Complete details at the Olympia Cycling Club website.